We buy pallet racks, new or used, and pay top dollar for it. Our team of workers can un-install, or ‘teardown’, your existing pallet rack system and move it to our storage yard. Our fully insured pallet rack installers have the experience and knowledge to safely take down you existing pallet racks and move them out of your facility. In most cases, we can have your storage system down-and-out in less than 1 week. By submitting all the information as a package, we can analyze your project faster and give you a more precise estimate. We provide professional tear-down services with experienced installers who understand safety, steel recycling, reuse, reusable, salvage, scrap and packing techniques. Provide us a good estimate count of your materials. Take pictures of your materials and send to us. If you are moving to a new facility, we can uninstall your existing storage system and relocate it to your new warehouse. We can assist with a new layout design and evaluate what materials can be reused for your new storage system. We can buyback any unused materials or give you credit toward your new storage system. 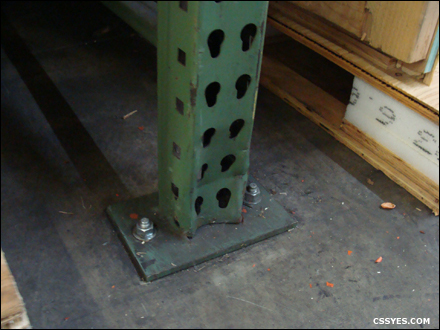 Damaged uprights do not meet our standard quality control of used products for re-sale. Recycling is the option for damaged materials. 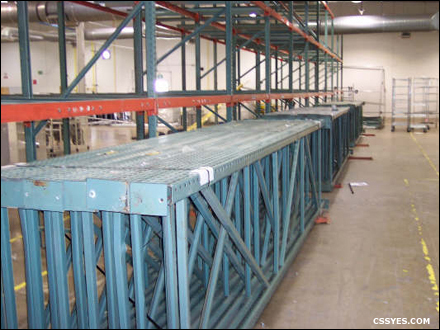 We are interested in buying other used material handling equipment including shelving, cantilever racks, conveyor, catwalk systems, mezzanines, and forklifts. Please give us al call if you have any warehouse equipment you need to sell. 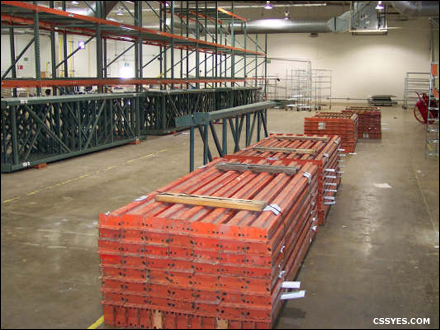 We buy warehouse racks only in good structural conditions. Contact our sales department for additional information, pictures, prices, lead times, and a request for quote (RFQ). C&SS is servicing all California with sales offices in San Diego and the San Francisco bay area. Call us at 619-255-1428. 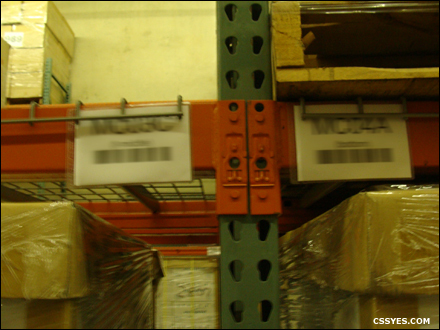 We are experienced with packaging pallet rack frames. 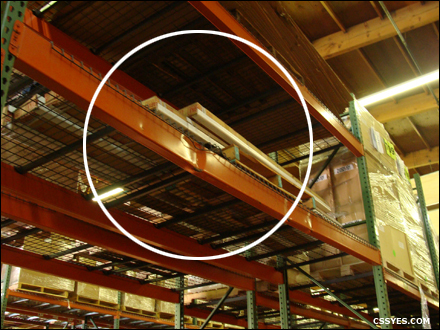 We are experienced with packaging pallet rack beams.